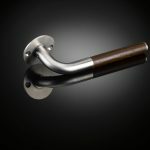 This lever handle, designed by Sergison Bates, one of the most thoughtful and sophisticated practices, is part of a family of hardware that shares a common language of form and making, based on bending, folding and fabricating. This variant has a wenge grip, with the dark wood finish giving a warmer appearance. 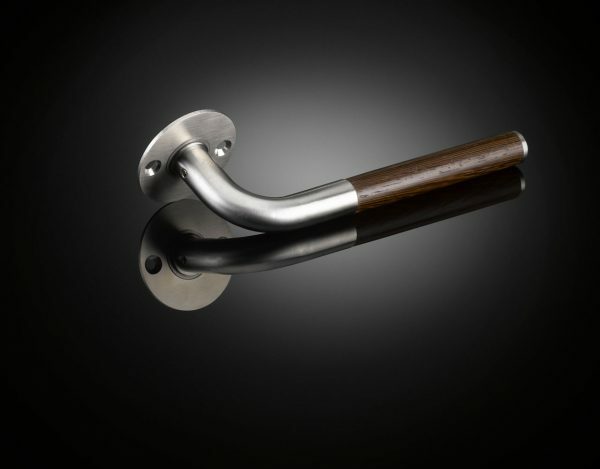 Like all izé luxury door hardware, the lever handle is available in the full range of izé materials.